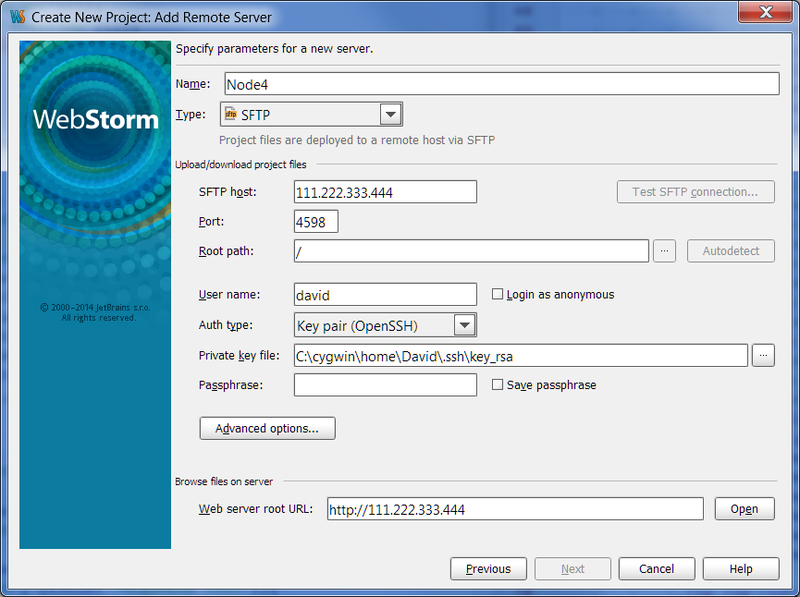 When creating a new project from existing files on a remote server, none of the FTP connections settings enable the test connection or auto detect root directory settings. When using Cygwin, SFTP works instantly without a hitch. All the fields are filled out, they appear to be the same as examples online. The host is an numeric IP address. The port is a non-standard port for security. User name is the username, authtype is KeyPair, the private file points to the same private file that opens the connection with Cygwin. Since the keyfile doesn't have a passphrase, that is disabled after the file is selected. The Remote Host Access plugin is listed and checked in settings. What could cause this to be disabled? Try increasing the dialog height - are there any errors displayed at the bottom?